There’s a fantastic restaurant in Steenberg Village called Jakes, a regular haunt of ours and a place we default to often with close friends, family or just us two. Big G and I found ourselves making a special trip on Friday night just for their Moroccan Lamb Flatbread. I don’t think we’ll ever come close to recreating the splendour that is this dish but we had fun creating our own version. 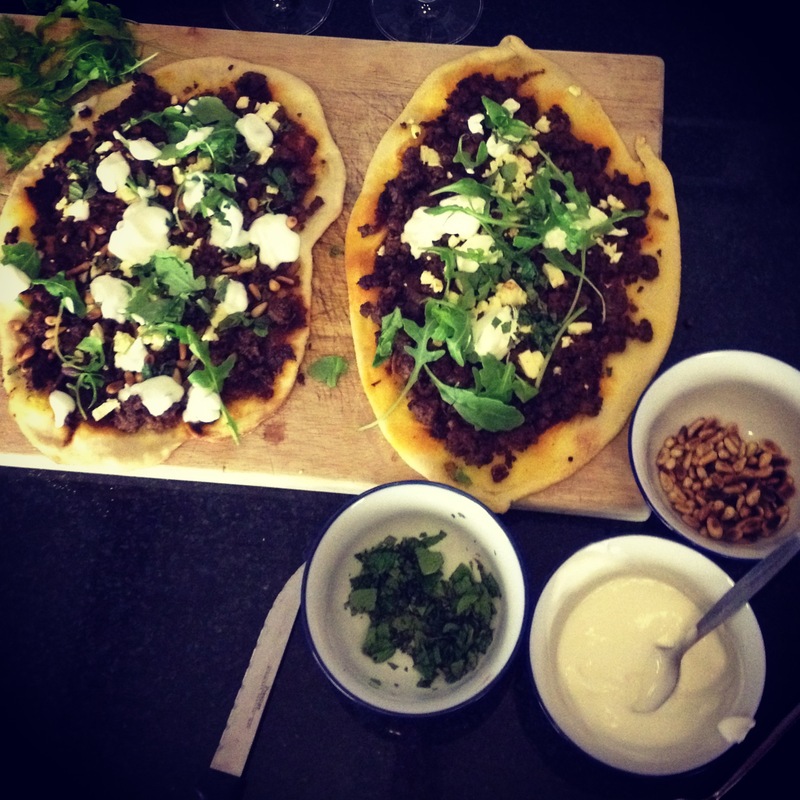 Jakes layer lamb strips and grilled aubergine and I think use tzatziki as their topping. If I try again and get closer to the real deal I’ll post again.